At Rayban Window Tinting, we install frosted, dusted, crystal, silver and many other colours in our translucent vinyl range. These provide soft light appearances both internally and externally and offer total privacy both day and night. We also have solid colour vinyl available that provide total block out around the clock. This is an economical alternative to acid etched and sand blasted glass and helps to strengthen glass for added safety. Available in light medium and dark strengths, this high tech film range is applied externally. This product is primarily used where the thermal stress is a major consideration allowing the enjoyment of the suns natural light without the glare issues. This film is ideal for use on glass ceiling panels. 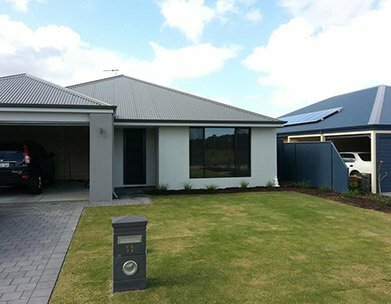 There are two variants of Enerlogic film – Enerlogic 35 for warmer climates and Enerlogic 70 for cooler areas. Enerlogic 35 is a semi-reflective, spectrally-selective dark emerald green film with a patent-pending low-e coating combined with a high solar heat reduction. It can be applied internally to glass to deflect up to 76% of heat in the summer and, during the winter, it reflects most of the heat back into the room to reduce energy usage and save you money on your bills. Enerlogic 70 is a non-reflective, spectrally-selective light amber film, allowing a high level of natural light to filter through with a patent-pending low-e coating. It can be applied internally to glass to deflect up to 49% of solar heat in the summer, while helping to keep heat inside through the winter. The night series is our most popular range of films and helps to provide great daytime privacy for commercial buildings while dramatically reducing glare. They offer low internal reflection of light with only around 11% to 13% of internal light reflected, making them ideal for use in offices where computers are used. It is available in three colour strengths so you can truly tailor it to your specific needs. This high-tech film is designed for excellent heat, glare and fade reduction and provides good daytime privacy. The film has a tough scratch resistant surface and is available in four colour strengths and two colours including grey and bronze. The reflective series is designed for areas with extreme heat and glare issues. With low internal reflection and excellent fade reduction properties, it’s excellent for daytime privacy. SS4 Safety film helps to prevent accidental injury from broken glass. At 100 micron in thickness, it is three times as thick as normal film. When the clear variant is installed, it is visibly undetectable. It has a scratch-resistant coating and comes in clear, silver and shadow options. It’s also available in a tinted variant with solar heat rejection properties, and is suitable for use in day-care centres, kindergartens and schools. See Australian standards AS/NZS 2208:1996 and AS1288:2006. SS7 Security film helps to protect against break-ins through broken windows and broken glass in doors. It has a scratch-resistant coating and, when the clear variant is installed, it is virtually undetectable. At 175 micron thick, it is almost five times thicker than normal film. It has a break strength of 193LB/inch – ASTMD882, and is ideal for use in kindergartens, day care centres, schools and public areas. It’s also available in solar heat reduction film with low internal reflection, and is manufactured to comply with safety glazing standard ASNZS2208 when applied to 3mm glass and above. SS8 Security film at 200micron is over five times thicker than normal film and is ideal for use where security is paramount – for example in shops and shopping malls. The film is virtually undetectable when it is applied and has a breaking strength of 235LB/inch – ASTM D882. It also has a scratch-resistant coating and is available in a tinted variant with solar heat rejection properties. Our anti-graffiti film is designed to be suitable for internal and external use with a new low-tack adhesive. The low-tack film can be removed and replaced where necessary without damage to any underlying images or surface. The following technical data applies where film is fitted to 6mm clear glass. Our excellent range of hi-tech solar film is perfect for any areas with annoying glare problems. It allows you to enjoy the night time views while providing excellent levels of privacy during the day. With two colour strengths available, you’re sure to find an option to suit you. call our friendly team today on 08 9350 5199 .